Light rain early...then remaining cloudy with showers in the afternoon. High 58F. Winds NW at 10 to 20 mph. 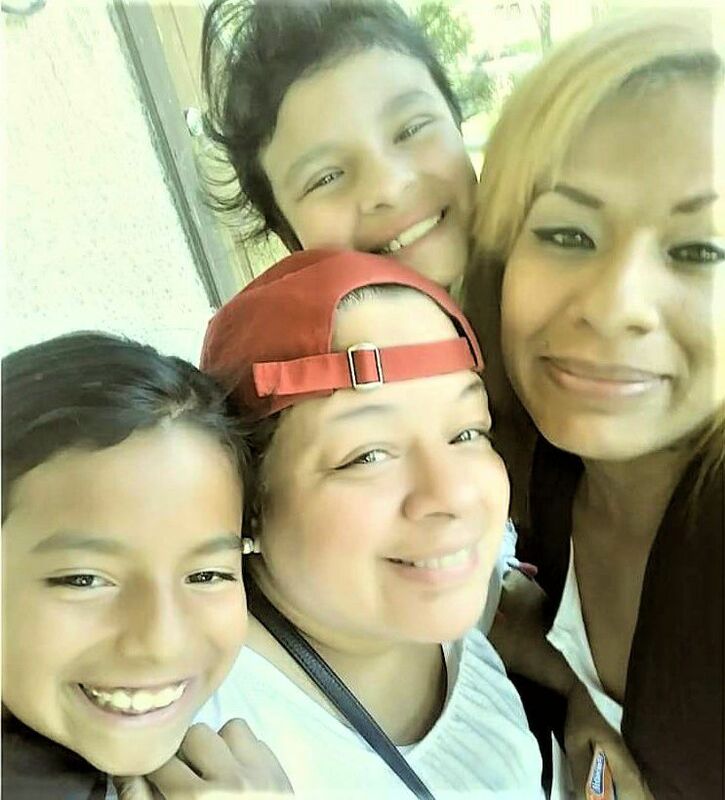 Chance of rain 70%..
Jessica Flores (far right) takes a photo with her mother (center) and two of her children. From left, South Chicago Heights police officer Mike DeMith, Michiana Search Dogs handlers Gary Hay and Annie Schaffer, joined by Virgil, and Gary Police Chief Richard Allen prepare to search a route in Gary's West Side neighborhood for Jessica Flores on March 17. Flores, of South Chicago Heights, went missing in late February. She was last seen with Melina Cottrell, of Gary. Drew "Tiny" Carter III, of Gary, has been charged with murder in Flores' disappearance. Jessica Flores, 36, of Chicago Heights, was last seen in Gary in late February and is a mother of six children. The Gary Police Department will lead a search party at 12 p.m. Saturday, according to Gary Mayor Karen Freeman-Wilson. Volunteers should be at the Gary Police Department at 555 Polk St. at noon and will be given further instructions at the location. On March 17, police from across Northwest Indiana and Illinois used ATVs, cadaver dogs and a drone in the search for Flores. Officers searched around her last known location and other areas but did not find her before disbanding. Drew “Tiny” Carter III, 41, of Gary, was charged with the murder of Flores after a witness told police Carter shot Flores with a revolver in a car. Police believe she could not have survived. Anyone with information about the location of Flores' body or the homicide is asked to call Lake County/Gary Metro Homicide Unit Detective Ed Gonzalez at 219-755-3855. To remain anonymous, call 866-CRIME-GP.